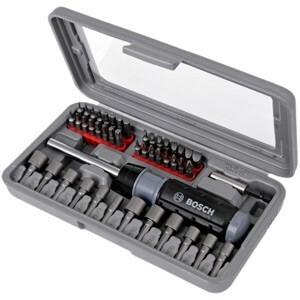 Stanley screwdriver insert bit 29pcs setShaft Material:chrome-vanadium steelTip Type: Blackening oxide tipsHandle Material:PVCPackage Content: 1 Screwdriver Set( Pack of 25 )Technical Details : Item Weight : 322 gProduct Dimensions : 20.4 x 14.2..
Bosch 46pcs Screwdriver set High quality all in one screw driver set for DIY , Home improovement and minor repairs & fixings Technical details Ratcheting: Yes Forward / Reverse: Yes Sofet Grip : Yes Bit h.. 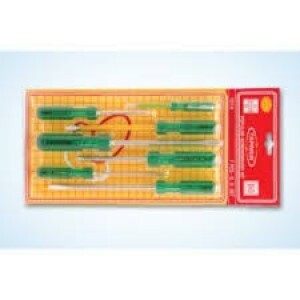 The set made from tough chrome vanadium steel and plastic is rust free,hence strong and durable. 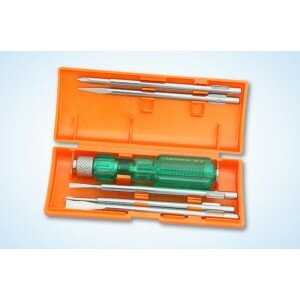 The screwdriver kit has fastening/tightening applications and is broadly been used by electricians,construction workers,mechanics,etc. 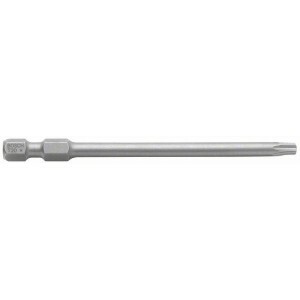 The for..
Taparia Screw Driver Kits Blister PackingThe blade is made from high grade Silicon - Manganese steel, which no other make uses. 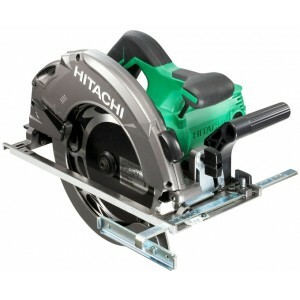 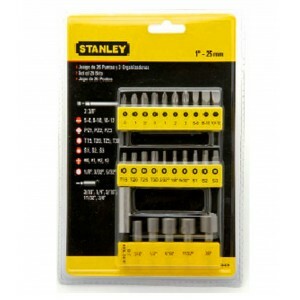 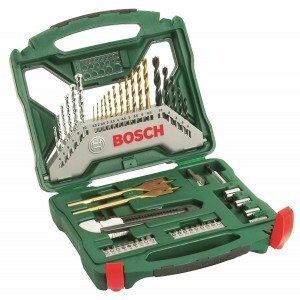 This steel gives spring effect also.The blade is differentially hardened & tempered to resist wear, bending and ..
X 50Ti Drill and Screwdriver Set Set comprises of: HSS-TiN drill bits, diameter 1.5, 2, 2.5, 3, 3.5, 4, 4.5, 5, 5.5, 6, 6.5mm Masonry drill bits diameter 4, 5, 6, 7, 8, 10mm Wood drill bits diameter 4, 5, 6, 8, 10mm Flat wood drill bits ..
Bosch Screw Driver Bits 110mm PH2 double end*10pcs ..
Bosch Screw Driver Bits 65mm PH2 double end*10pcs ..
Bosch T20 Screwdriver Bit Extra-hard 152mm length Suitable for all type of Drill Drivers having 1/4" Hex Chuck ..
_x000D_ Bosch Screwdriver Bits_x000D_ _x000D_ Length: 65mm _x000D_ _x000D_ Size: PH2 _x000D_ _x000D_ Type: Double end_x000D_ _x000D_ Qty: 10pc/pack_x000D_ _x000D_ Shank: 1/4" , 6mm_x000D_ _x000D_ _x000D_ ..
Made out of High Grade Steel and Transparent green cellulose acetate handle. 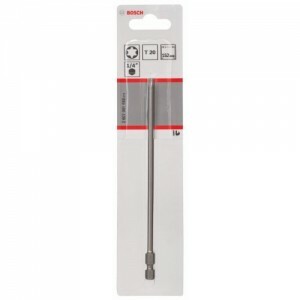 The handle is made from high grade C. A. 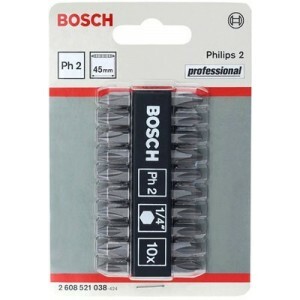 Plastic which is non flammable and unaffected by oil petrol, grease, water etc. 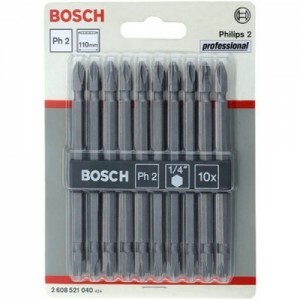 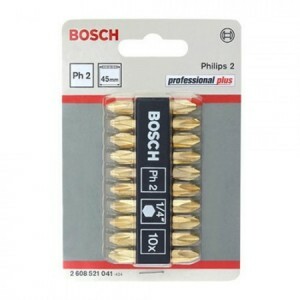 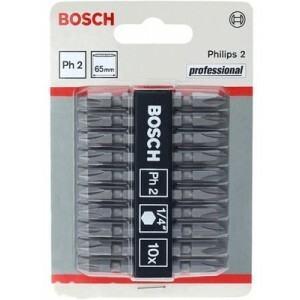 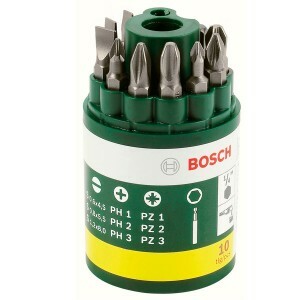 It is available in wide variety o..
Bosch T30 Screwdriver Bit Extra-hard Size - T30 89mm length Suitable for all type of Drill Drivers having 1/4" Hex Chuck Description : Bosch is a leading manufacturer of accessor..
Bosch 10 Piece Screwdriver SetThis Bosch screwdriver bit set contains 9 assorted screwdriver bits and a magnetic universal holder. 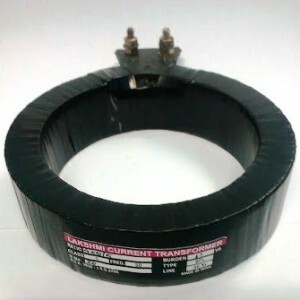 Comes in a convenient plastic display drum. 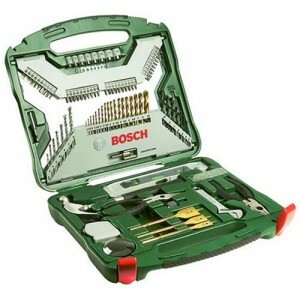 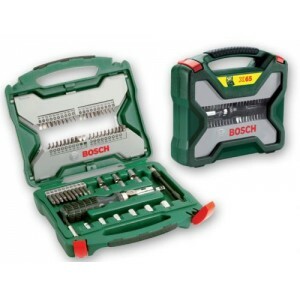 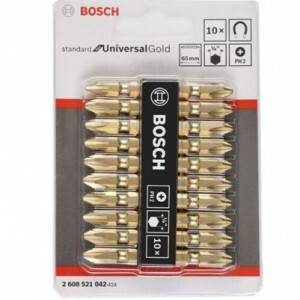 ..
Bosch 103pcs Titanium Drill and Screwdriver Set X103TI This handy 103 piece mixed titanium set from Bosch for using with power drills and screwdrivers The Bosch 103 Piece X-Line Accessory Set consists of the following: ..